The rollout of the much-awaited smart meter project in Uttar Pradesh has begun from Prime Minister Narendra Modi’s parliamentary constituency Varanasi. As per the plan submitted by the Uttar Pradesh Power Corporation to the electricity regulator (UPERC), installation of 40 lakh smart meters in the state’s power theft-prone areas will be completed between July 2018 and March 2021. UPPCL chairman and principal secretary, energy, Alok Kumar said installation of tamper-proof smart meters is part of its its resolve to make Uttar Pradesh a more energy-efficient state and is a revolutionary step towards checking pilferage, providing better power supply and enhancing revenue recovery. According to the submission to the UPERC, the Varanasi and Meerut discoms would be the largest beneficiaries of the plan, followed by the other three discoms. 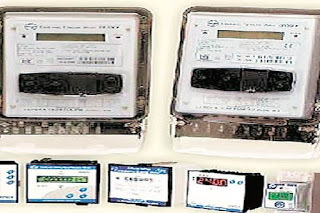 Stating that work of installing hi-tech meters already begun in Gangapur town of Varanasi, the submission to the UPERC said under the scheme, 11.47 lakh smart meters will be installed in 10 cities under the Varanasi discom, 11.63 meters in 15 cities under Meerut discom, 9.04 lakh meters in 12 cities under Lucknow discom, 6.29 lakh meters in nine cities under Agra discom, and 1.57 lakh meters in Kanpur under the KESCo. The project is being executed through the Energy Efficiency Services, a central government body. “The corporation will save at least Rs 4,000 crore a year once the project is complete,” Kumar claimed, adding that in Varanasi’s Gangapur town, smart meters have already been installed at 450 of 1,500 premises. “This deployment will result in controlling power theft and enable customers to check their usage and generate bill through their mobiles. This will provide consumers with greater control over their electricity usage and accurate billing on their electricity consumption. In addition, consumers will get rid of manual errors in meter reading and be able to pay their bills easily through their mobile phones,” Kumar said, adding that this programme is an unprecedented step towards delivering digital literacy and services through Digital India programme.